The tea length Rodeo Cinderella skirt by Marrika Nakk creates a feminine silhouette that offers plenty of mobility and movement. By buying this product you can collect up to 35 loyalty points. Your cart will total 35 loyalty points that can be converted into a voucher of $8.75. 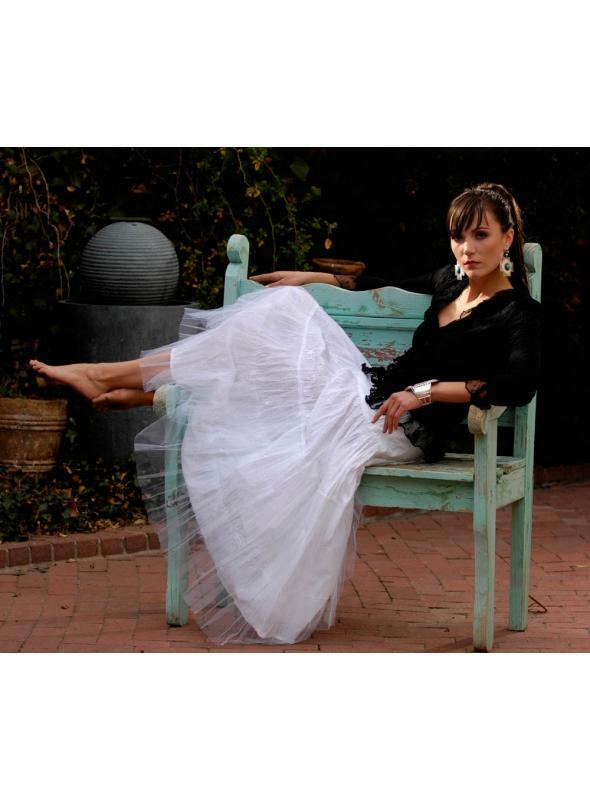 The Tea Length Rodeo Cinderella Skirt by Marrika Nakk creates a whimsical design with tulle ruffles that cover the white skirt. The tiered design creates a feminine silhouette that offers plenty of mobility and movement. A side zipper closure is available on the side of the clothing item.